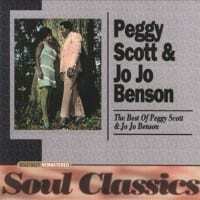 In the late '60s, the female-male duo of Peggy Scott and Jo Jo Benson made the pop Top 40 three times (charting much higher in the R&B section) with a clutch of good-natured Southern pop/soul tunes. Semi-legendary producer Huey Meaux, who had worked extensively with such soul and rock legends as Barbara Lynn and Doug Sahm, was responsible for putting the team together, and produced their first sessions in 1968 in Jackson, MS. After "Lover's Holiday" and "Pickin' Wild Mountain Berries" yielded a couple quick hits, the producer's chair was turned over to Shelby Singleton, who cut a few sessions with the pair in Nashville. Some of these tracks were notable for their fusion of soul and country influences; a few featured top Nashville session men Jerry Kennedy (on guitar) and, more unusually, Pete Drake, perhaps the first white country musician (and certainly one of the few) to play steel guitar on a soul record. Scott and Benson were competent talents, but ultimately would have to be classified as rather-average performers who didn't establish a particularly distinguished or exciting style. The country influence and the odd sitar-ish guitar tone on several of their records were the most novel things they had going. 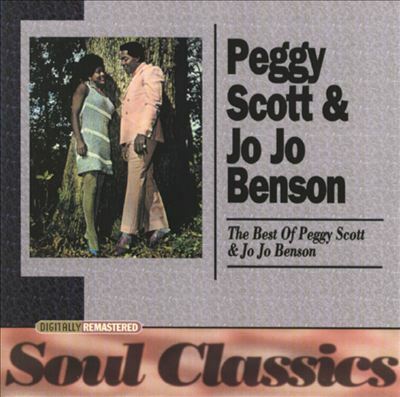 Under Singleton's guidance, they landed their third hit within a year with perhaps their best track, "Soul Shake," but only managed one more minor hit, "I Want to Love You Baby," before leaving Singleton's SSS International label for Atco. Their relationship already strained, the duo's career petered out after a few obscure singles in the early '70s. Nearly 25 years later, Scott -- now known as Peggy Scott-Adams -- returned to a recording career with several albums on Miss Butch.